Published by Mountainblog on 01/21/2019 . Effortless and efficient turn dynamics delivering unmatched power and performance on piste. 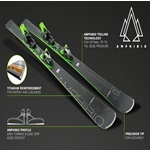 The 2019/20 Amphibio series marks a new era for the ever-evolving, always-innovative all-mountain ski collection. 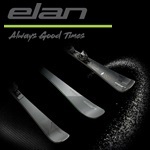 The highly versatile, dynamic and maneuverable skis are designed for the best among all-mountain skiers. Known for their high performance from an asymmetrical Amphibio profile, the series takes it to the next level with Amphibio Truline Technology for the perfect turn while the new Fusion X binding system provides a smooth, free flex performance. The Amphibio series compromises nothing and promises everything you need to be the king of the slopes.